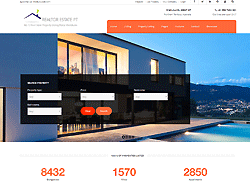 Realtor Estate PT is a fully responsive micro niche Joomla template built on the slick warp7 framework. This is not an abstract template. By this, we mean the template is ready for use to create a fully functional website. It has been tailored for Real Estate listing portal, complete with listing extension- OS Property.